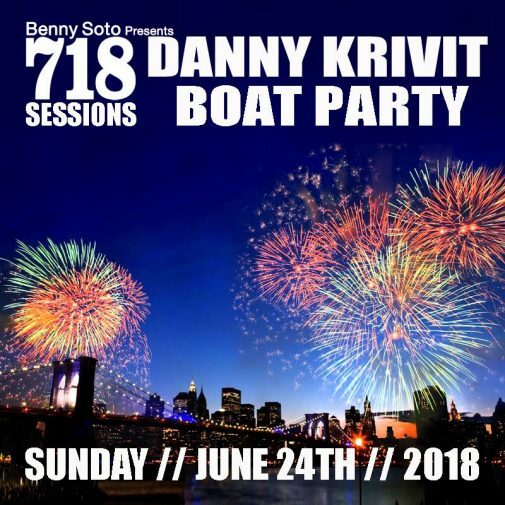 Danny Krivit – The Annual 718 Sessions Boat Party 2018! The Annual 718 Sessions Boat Party 2018! Hard Tickets Available @ May 26th 718 Sessions Roof Party @ Output! Please be aware that there on-line fees for ticket sales. Comfortable dancing shoes or sneakers. Loose, cool clothing…and most important..A GOOD ATTITUDE & CAREFREE VIBE! Give yourselves plenty of time to get to Pier 83 on Sunday, June 24th! Please note that GAY PRIDE SUNDAY is on that day..traffic conditions on the west side will be heavy! Don’t miss the boat! NO BEVERAGES OF ANY KIND ALLOWED! NO CHILDREN!